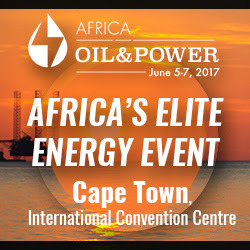 Africa Oil & Power is the elite event for energy investment and policy in Africa, organised once each year in Cape Town, South Africa. The conference draws a premier crowd of ministers and senior level government officials and top executives of private sector companies spanning the entire value chain, including upstream, downstream, power generation and legal and finance. The event is the benchmark for top-tier networking and high-level discussion on a multitude of issues concerning the African energy landscape. The fast-paced program puts forward a fresh interpretation on the energy conference experience with animated and video presentations, open dialogue panel discussions and plenty of networking time and space.